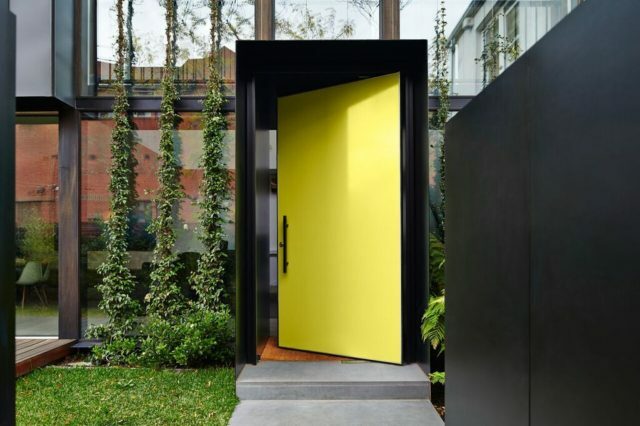 Low-cost and risk-free, why not try a bold front door? 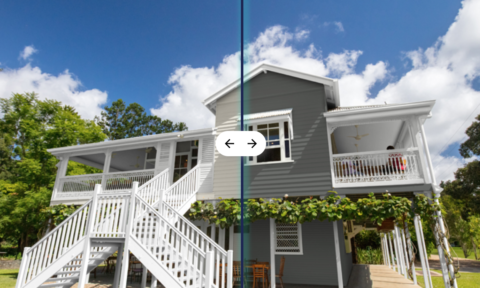 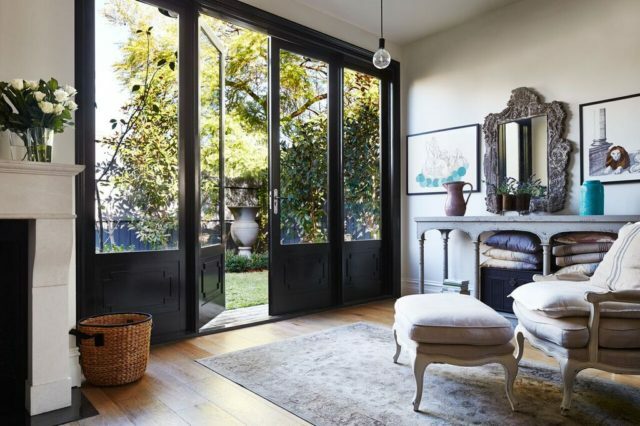 When you consider a home’s street appeal, its front door is key. 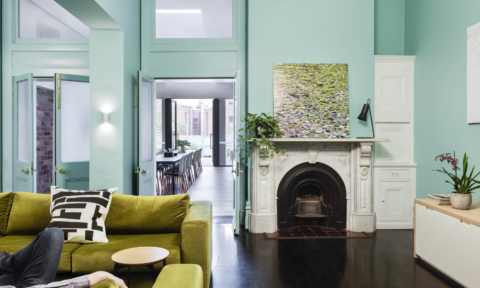 Often thought of in purely utilitarian terms, it pays to consider it from a design perspective and, this season, that means bright and bold. 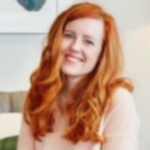 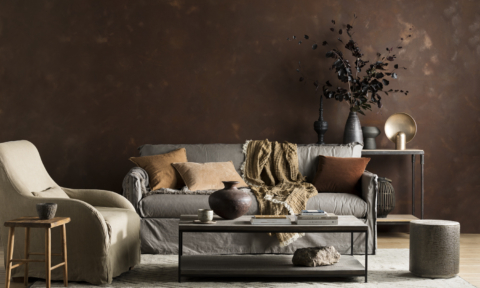 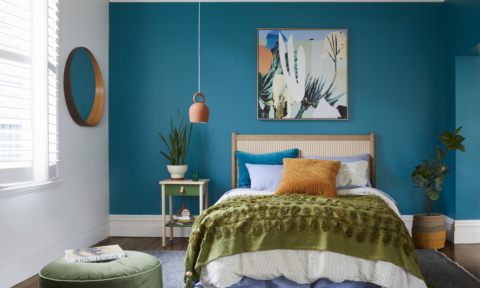 “Don’t be afraid to be playful with the look of your entrance to create a welcoming pathway into the home,” says Dulux colour expert, Andrea Lucena-Orr who emphasises the power a fresh front door colour can wield. 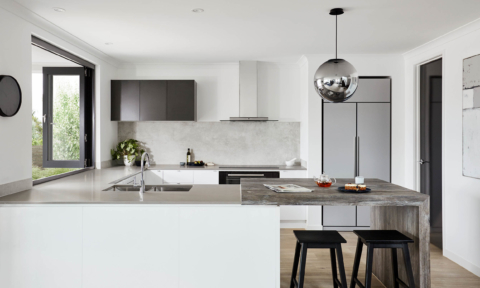 “Add a new door mat or a colourful or patterned planter to complement it and you can completely transform the appearance of your home,” she adds. 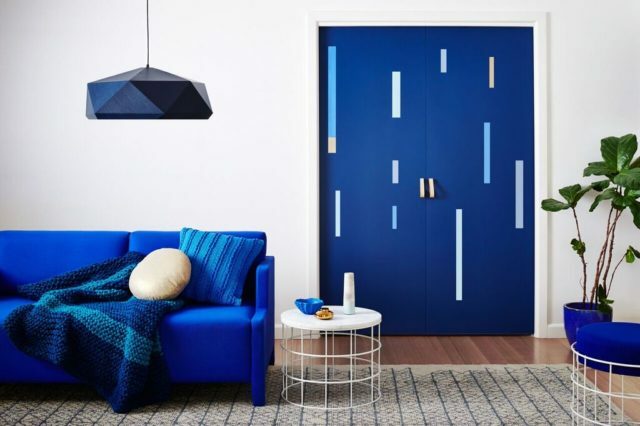 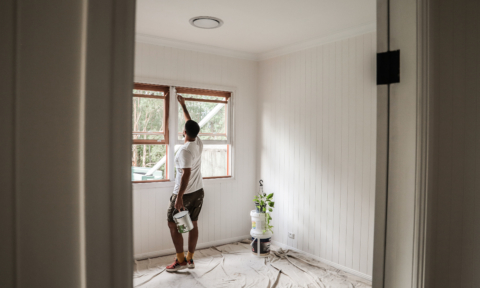 It’s a fun DIY project that is low-risk and cost effective and we like the idea of a seasonal upgrade to reflect the latest trends – blue is currently on point. 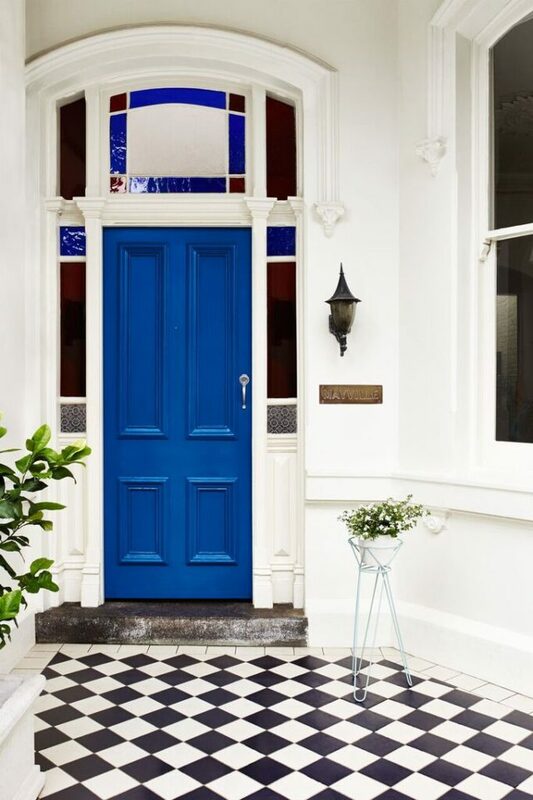 “From lighter blues and greyish blues to deep, dark blues and even charcoal blues, the power of a blue door is particularly enhanced when combined with natural stone and brick or neutral render colours,” says Andrea. 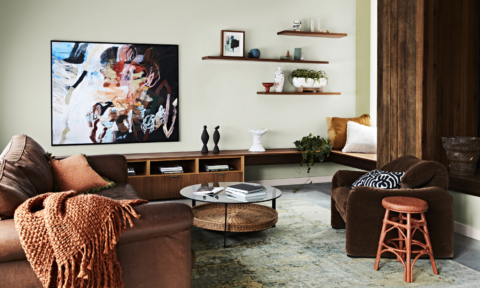 “You could highlight a traditional stained glass door surround by choosing a complementary paint colour,” says Dulux stylist Heather Nette King. 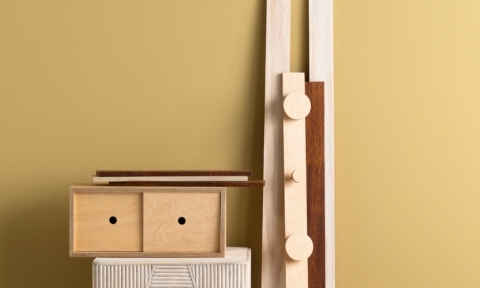 This fun approach can be continued inside the home too. 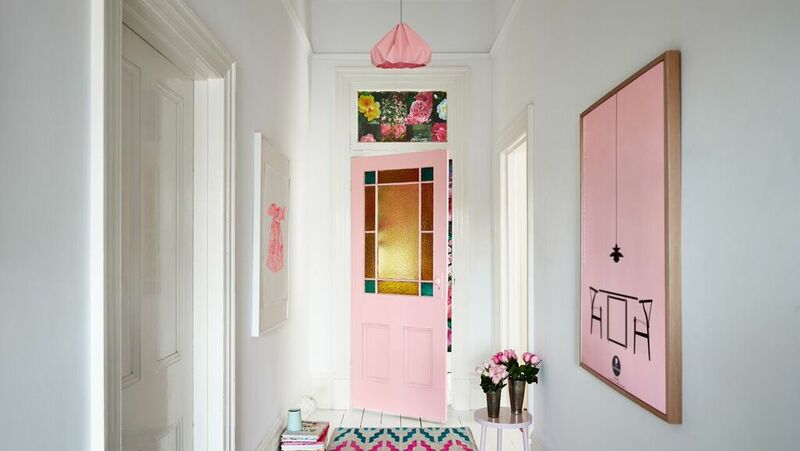 Rather than painting a feature wall, transforming an interior door is small on cost but big on impact.